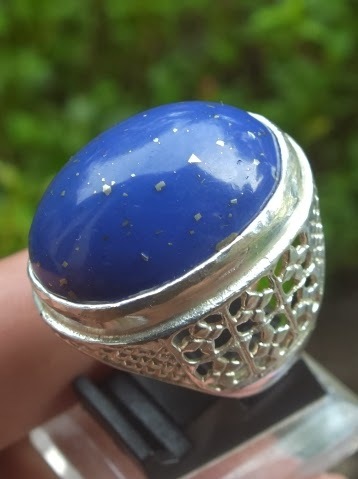 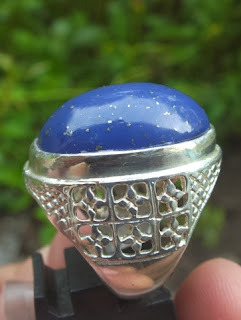 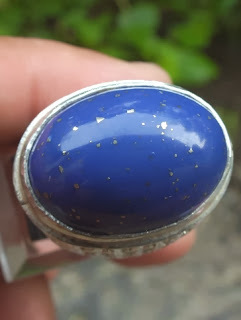 This is a very beautiful natural Lapis Lazuli set on 17,5mm alloy ring. 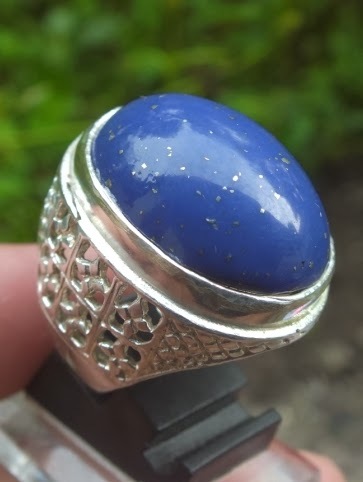 The color is nice blue with many natural metal roots. 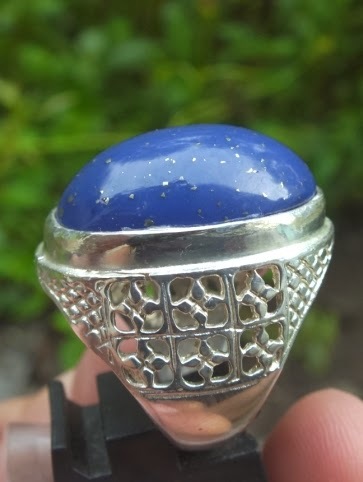 The size of the gems is (est) 25mm x 18,3mm x 10,5mm. Get this beautiful gemstone now! 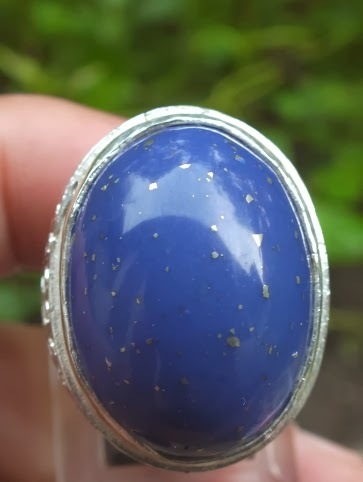 Natural Lapis Lazuli!